Today marked the 11th outing since the Tidal Fraser River re-opened for salmon fishing. I decided to drop by Garry Point Park once again for a couple of hours around flood tide. Since the bulk of the salmon run has gone by and none have been taken, I decided to only arm myself with the light spinning rod this time for bull trout. What has been impressive so far this season is the abundance of bull trout and cutthroat trout. To date I have seen four cutthroat trout caught and released, which is a good sign considering none were seen in previous years while fishing for fall salmon. I finally have been testing out a new spinning rod that was built from a 4wt Rainshadow blank. It is a sensitive rod as expected and it bends beautifully with a trout on. The softness of this rod is a disadvantage when spincasting because it is hard to get a good hook set, especially if a thicker hook is used. Yesterday I had trouble picking up the strikes that I had, so today I downsized the hook to a thinner one and the change paid off. 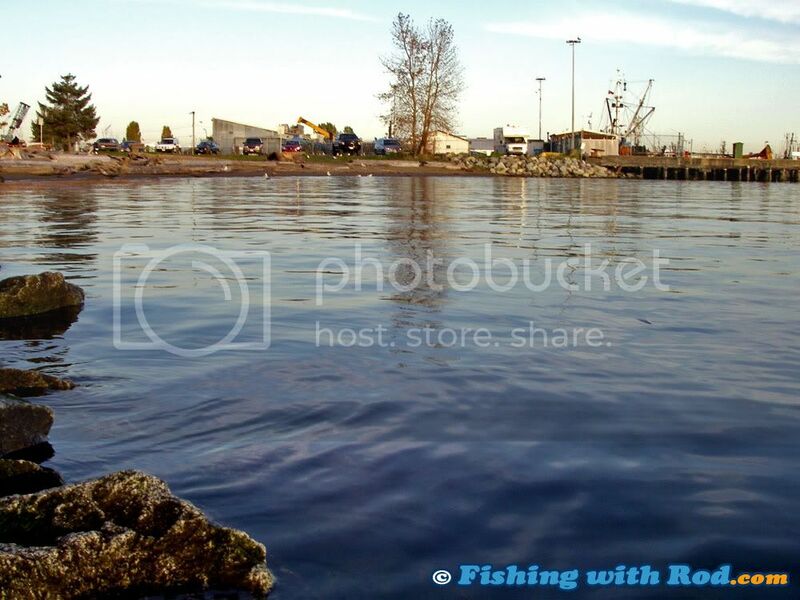 I fished the shallow bay in front of Pajo’s Fish and Chips as usual. Kids were throwing rocks into the water, dogs were swimming on the beach, large boats were roaming by constantly, who would think trout and char could be picked up with all the disturbance. At high tide, the depth I am fishing at is between 3 and 6 feet. During low tide, these areas would be completely dry. Once water returns, fish also return to feed on critters around vegetations. I managed to hook three today. The first small one darted into the shallows and pecked on the lure right in front of me. After a few kicks, it got off pretty easily. The second and third fish were much larger, estimated to be between 2 and 3lb. Both fish were hooked within a few casts, so they must have been schooling together. Knowing how soft the rod is, I gave it all on the hook set and the rod bent straight to the cork each time. Both fish were hooked fairly far from shore so they provided pretty lengthy fights. 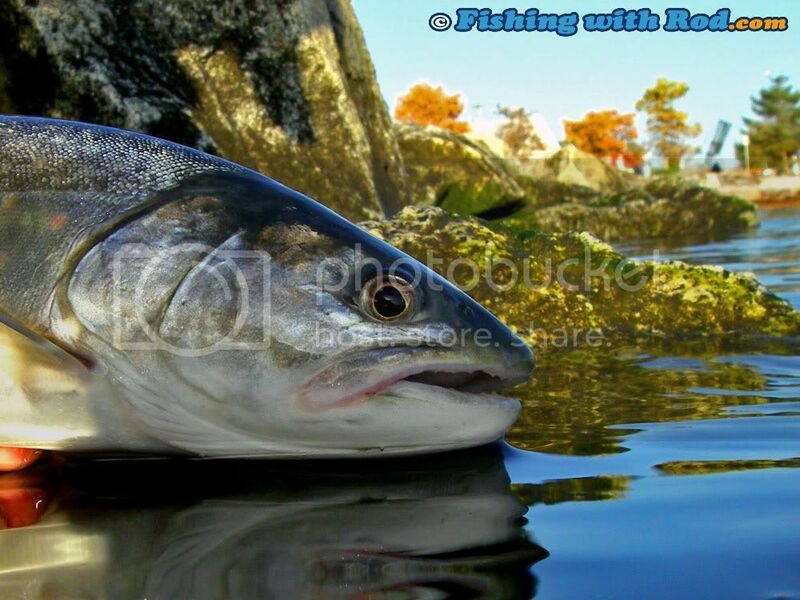 This maybe the last Tidal Fraser River outing in October. Although salmon fishing has generally been poor, the bull trout fishing has been very entertaining. This entry was posted on Monday, October 27th, 2008 at 9:49 pm	and is filed under Fishing trip. You can follow any responses to this entry through the RSS 2.0 feed. Both comments and pings are currently closed.